Bullseye Precision Vacuum Gauge - ON SALE! - FREE Shipping! 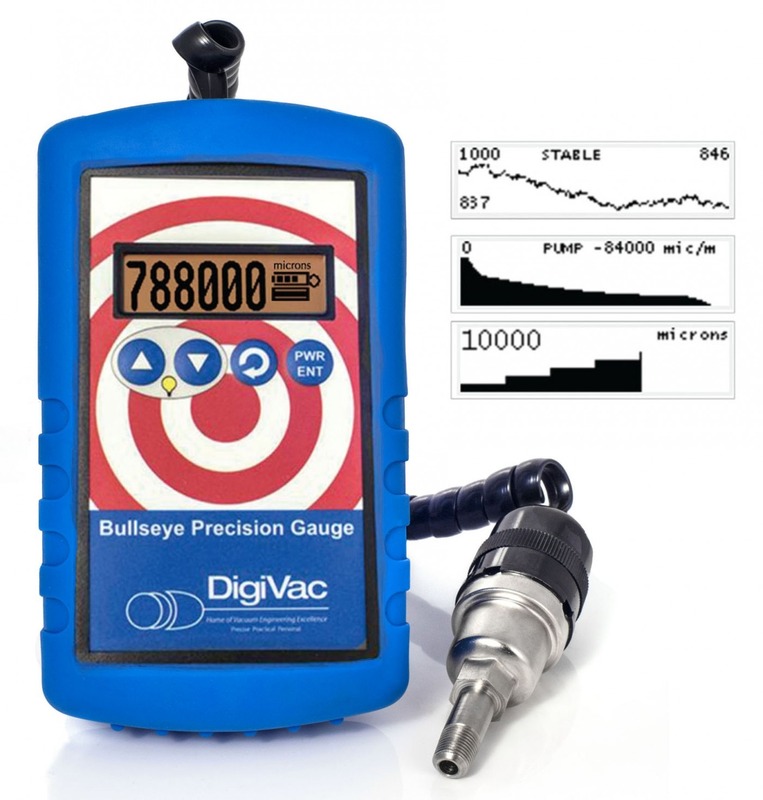 The Bullseye Precision Vacuum Gauge by Digivac is the most powerful, accurate vacuum gauge on the market. With the ability to measure all the way down to 1 micron, this vacuum gauge is ideal for any vacuum system.